Recently someone released a tape that Michael Cohen made without the knowledge of his client, of a conversation between the client and Cohen, his attorney. The discussion was about buying the rights to a story. There is no crime here on the tape. To clarify for discussion, shattering the attorney-client privilege can only be done if both the client and the attorney have committed a crime or are discussing them both committing a crime. The attorney on his or her own cannot break privilege because the client is discussing a crime. Mueller knows this or should know this, and this tape should not be in his possession though he was not the one who released it publicly. There are few who would have access to this tape. A judge who reviewed the seized materials from Mr. Cohen’s office and home had access. Cohen and his attorney, Lanny Davis, may have had a copy. Few beyond that would have had access to the tape. My money is Cohen and his team leaked it. People like Jonathan Turley, Professor of Law at George Washington University, have said the leaking is within the law since New York is a “one-party” consent state. That means only one of the two parties needs to approve the release of a private recording versus the requirement in other states that both parties must approve. But can an attorney consent to release a tape when the tape was of the attorney speaking to a client? More so, the leaked tape was published by CNN. 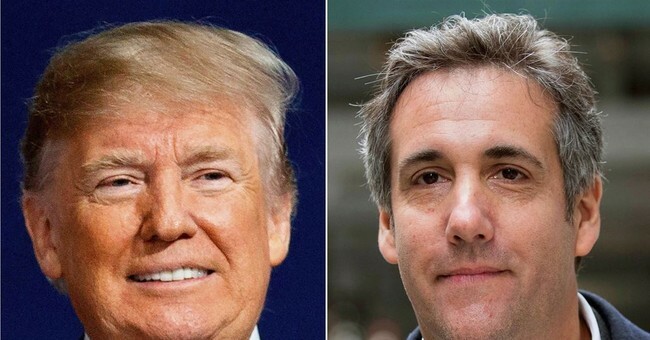 CNN stated “Court filings said federal prosecutors have obtained 12 audio recordings from the FBI raids on Cohen earlier this year. CNN previously reported that Trump's lawyers waived attorney-client privilege on the president's behalf regarding the recording involving him personally.” CBS created an echo chamber by parroting the statement that Trump’s lawyers waived attorney-client privilege. I asked a prominent defense attorney why Trump’s lawyer would do this. His reply was “I can’t imagine that Trump waived anything…” I soon found out that CNN, CBS and anyone else foisting that story upon the world were telling a misleading half-truth. To clarify what happened here -- CNN published a leaked tape, then stated that Trump’s attorney had waived privilege, but omitted the fact that if CNN had not published the tape in the first place no privilege would have been waived. Obviously, once CNN and their cohorts released the tape, the attorney-client privilege which had been established by a judge became moot. Who cares about someone’s rights as established by the law when that person is Donald Trump and your mission is to either destroy him or viciously injure him to incapacitate his presidency? We saw this before with the release of the 10-year-old tape of a private conversation Mr. Trump was having that exposed some very tasteless comments. If it is Trump and he is considered worse than the Ayatollah, then any means are justified. All this for a tape about nothing. So Trump, while a private citizen, had a fling with a woman who freely involved herself. The closest thing to a crime here may have been the woman extorting money for her story. Trump did nothing illegal here and the tape was just used to distract people from something relevant in life. The fact that this was even on the front page of the Wall Street Journal shows how low our journalistic standards have fallen. At best it warranted Page Six. No money was paid and nothing was done. Even so, this would have been a civil fraud that would have been cause for a lawsuit by the woman to determine whether she was potentially taken advantage of by selling her story to one party thinking it would be published. Living in Lefty Los Angeles, we often get asked why we are tolerant of Trump while Hollywood burns from real sordid charges of sexual abuse and workplace malfeasance. It is episodes like this that should make anyone sympathetic to Trump.